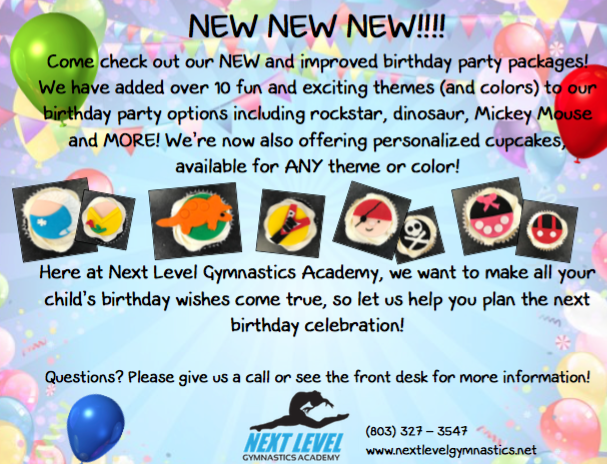 LET OUR PROFESSIONAL STAFF ENTERTAIN YOUR CHILD AND FRIENDS IN A FUN & SAFE ENVIRONMENT! Parties are held on Saturdays and must be booked in advance. Call 327-3547 for availability, to reserve your party, or for more information.